RADICAL ARCHIVES was a two-day conference (April 11-12, 2014) organized around the notion of archiving as a radical practice, including: archives of radical politics and practices; archives that are radical in form or function; moments or contexts in which archiving in itself becomes a radical act; and considerations of how archives can be active in the present, as well as documents of the past and scripts for the future. It was curated by 2013-14 A/P/A Institute Artists-in-Residence Mariam Ghani and Chitra Ganesh. The conference was organized around four threads of radical archival practice: Archive and Affect, or the embodied archive; Archiving Around Absence, or reading for the shadows; Archives and Ethics, or stealing from and for archives; and Archive as Constellation, or archive as method, medium, and interface. Resources from the conference are available below. The website is an online companion to the conference, organized around the notion of archiving as a radical practice. The site will soon feature contributions from conference participants, and also highlights curated papers and projects by other artists, archivists, activists and scholars working in the field. If you would like to contribute to the site, please check the contributor guide and email RA@radicalarchives.net for a username and password. Photos and tweets using the #radarcs and #radicalarchives hashtags are continuously added to a Storify timeline at storify.com/ghanimariam/radical-archives. 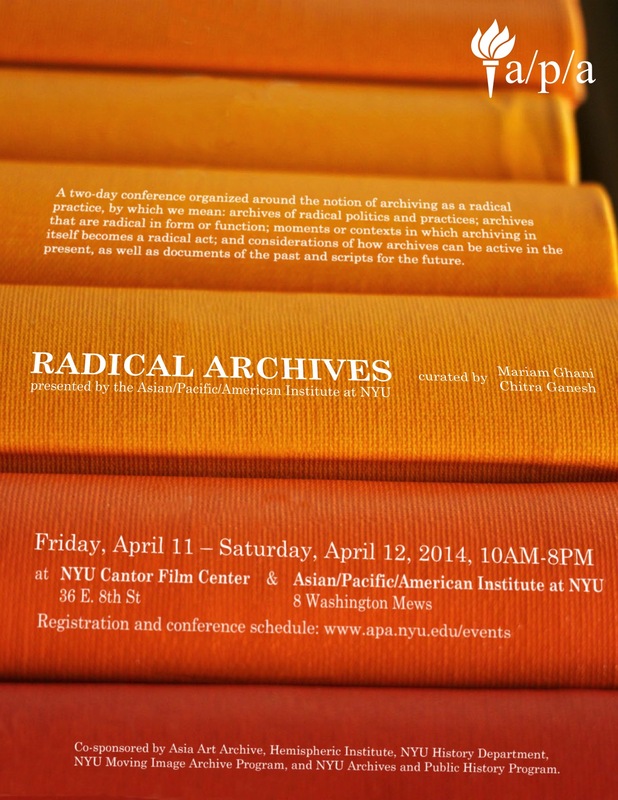 The digital copy of the program contains panel abstracts and bios for all Radical Archives conference presenters. Creative Time Reports, media partner for the conference, has released audio recordings of keynotes and selected panels, which you can find on their website. Recordings of the conference are hosted at pad.ma, an online archive for densely text-annotated video material. 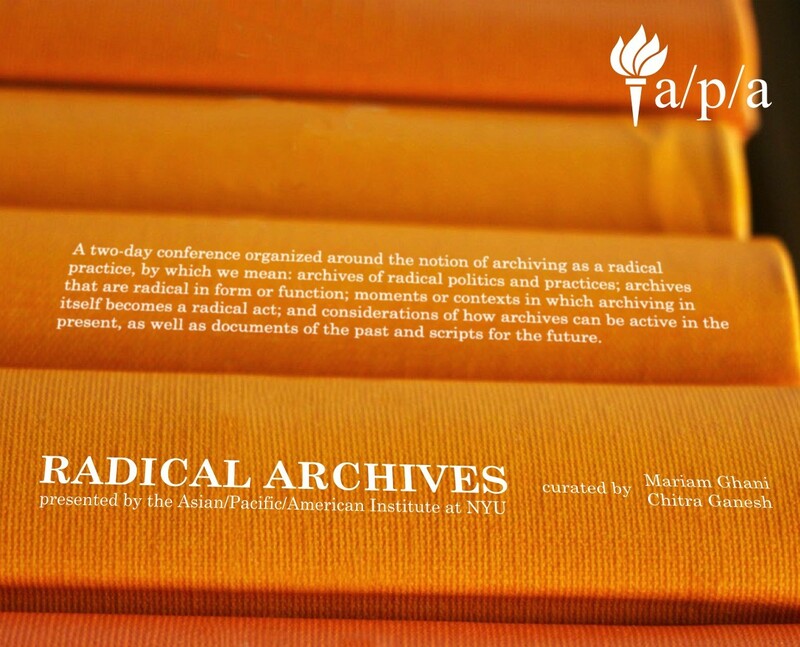 The Radical Archives conference recordings can be found by following the link below. The videos can be filtered and sorted by theme or by presenter name. To view individual video recordings on this page, click the titles below. For complete scheduling and speaker details, refer to the event program or schedule. To see more photos from the Radical Archives conference, visit our Facebook page.Thank you to all the presenters, participants, performers, organizers, and attendees who made the Radical Archives conference such a success!